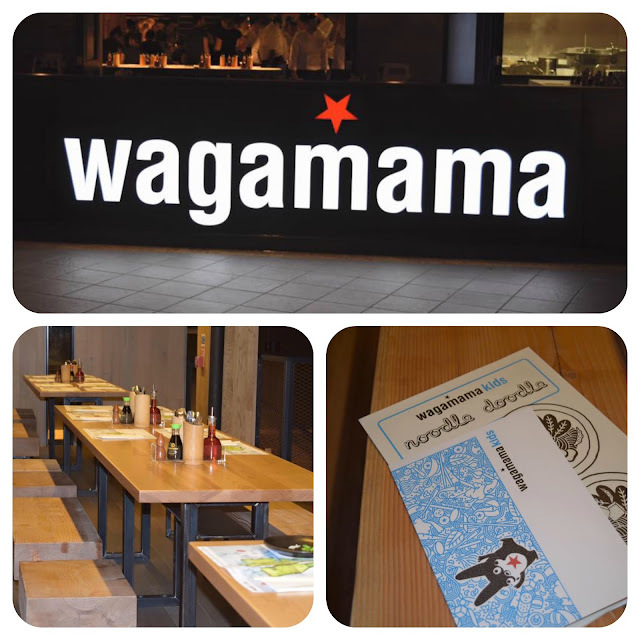 I love Asian cuisine and in the last ten years that I've lived in Manchester, Wagamama has become one of my favourite places to eat. If I'm meeting a friend after work or grabbing lunch while shopping with my family, more often than not you'll find me tucking in to a delicious Yaki Soba at Wagamama. I've thought for a while that the Trafford Centre, Manchester's huge shopping Mall, would be an ideal place for a branch of the popular Japanese inspired restaurant chain, today that dream became a reality as Wagamama opened the doors to their newest and biggest restaurant in the UK on the top floor of INTU Trafford Centre. My good friend Pippa and I were delighted to be invited to a special preview lunch on Friday before the brand new eatery had even opened it's doors to the public. 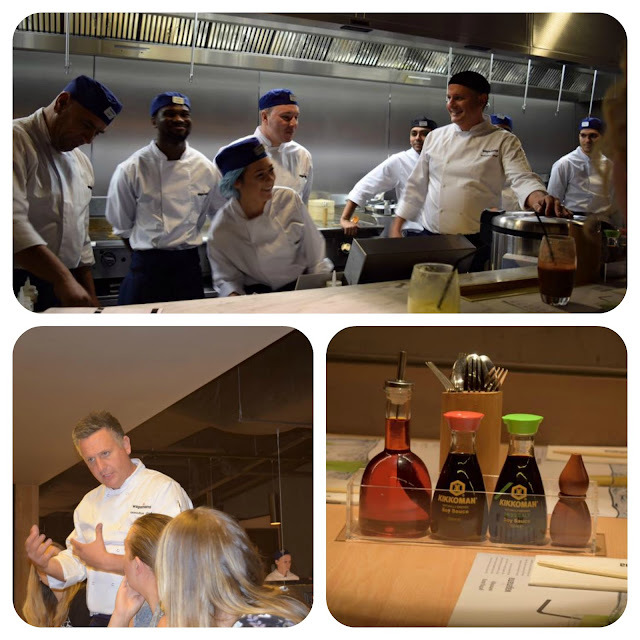 We got to see the company's Executive Chef, Steve Mangleshot prepare meals from his brand new menu including Seafood Ramen and Short Stack Rib Beef Ramen. I love the layout of the new restaurant and way that customers get to see their food being prepared in front of them in the long open kitchen. 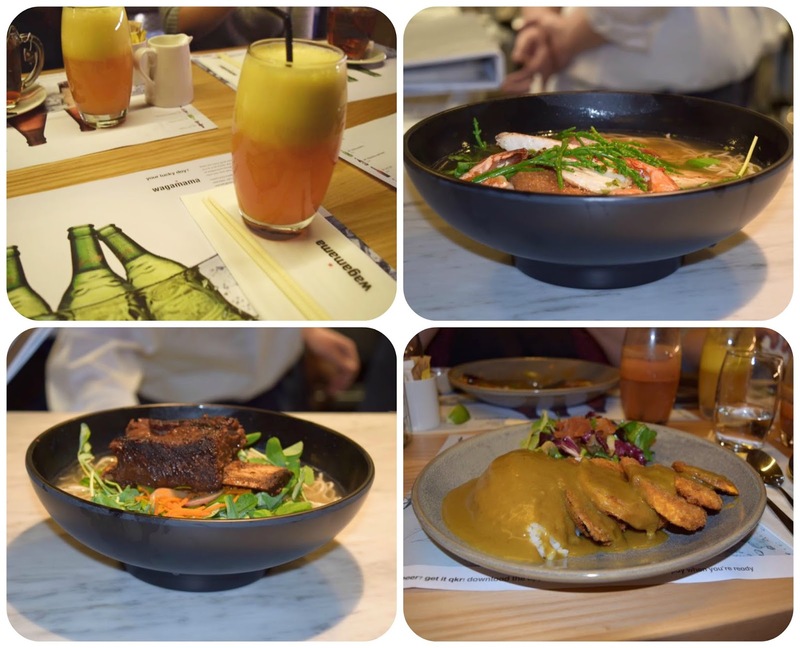 As well as the traditional canteen style benches that are familiar to Wagamama patrons, this new location also boasts a selection of cozy booths, perfect for family treats or romantic dates. The modern mezzanine level overlooks the whole of the lower floor and gives that extra aspect of privacy, it would be perfect for hosting a special occasion or a family get together.